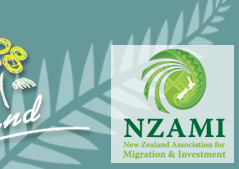 Migrate New Zealand is owned by Steve McNulty, the first fully licensed Immigration Adviser approved by the New Zealand Government in Wellington. Licence number 200800102. Personal visits can be made to your home, office, or place of work by arrangement. Centrally situated Wellington office in close proximity to national offices of Immigration New Zealand, New Zealand Qualifications Service, New Zealand Teachers Council etc. An ability to match or better any genuine fee quotation provided by any other agency. Competitive rates. After hours meetings available by arrangement. Personally tailored repayment plans, if required. Company owned and operated by former Immigration New Zealand manager with industry experience in Dunedin, Christchurch, Wellington. China, Fiji, Hong Kong, Malaysia, Tonga and Singapore. Plain English, easy to understand contracts. Initial assessments and consultations totally free and without obligation. For further information, email info@migratenewzealand.co.nz for a free assessment under The Skilled Migrant Category.